Mindfulness can help you navigate relationships and expectations to get the results you want. Perhaps more importantly, mindfulness helps you accept that you might not get what you want. Plus — Explore two techniques for being more mindful at work. Work is expending effort, usually to accomplish something, to meet an objective. Whether you work for love or for money or, if you are fortunate, for both at the same time, you want your efforts to be worthwhile. This is why mindfulness—the objective observation of whatever is occurring—is a core capability at the foundation of a successful, fulfilling career, and of optimal performance in anything that we do. When you apply mindfulness to work, you give those efforts meaning and become more engaged, more attuned. Working consciously is deciding and acting upon what you want to accomplish and how you will accomplish it. It recognizes the complex nature of work, particularly when it is being done in teams and organizations with other people. This involves the interplay of mindfulness, multiple intelligences, personalities and relationships, tools and methods, hierarchies, motivations, and ethics. In other words, this is systems awareness, which can easily get out of hand without a sense of mindful attention to how the individual components connect with the whole. Mindfulness has hit the mainstream and been subject to scientific studies to verify its effectiveness. Major organizations like Google and the US Army are promoting mindfulness training for their employees, from the executive suite to the shop floor, trading desk, and customer service department. School systems and training organizations are beginning to incorporate mindfulness into their curricula both for students and trainers. Project managers, psychotherapists, and attorneys are recognizing the power of mindfulness. See A Guide to Mindfulness at Work for more on this. 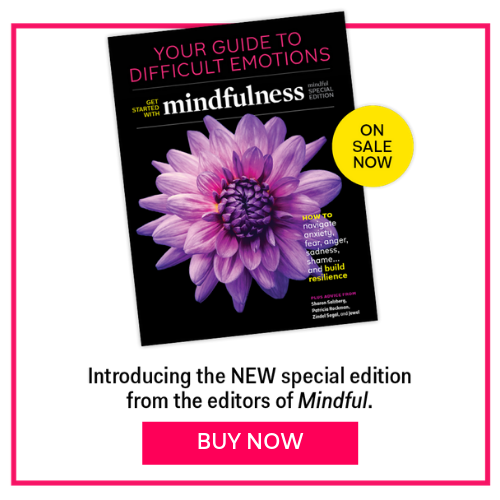 Why is mindfulness getting this attention? Because preliminary research suggests mindfulness contributes to personal health, happiness, resiliency, and effectiveness. For example, in 2010, an analysis of 39 studies explored the use of mindfulness-based stress reduction and mindfulness-based cognitive therapy. The findings suggested that “mindfulness meditation promotes joy, interest and alertness and other positive moods and decreases anxiety, anger and other negative feelings.” The article goes on to point to studies to show the effects of mindfulness on reduced rumination, emotional reactivity and stress, enhanced working memory, more cognitive flexibility, open mindedness and the ability to creatively adapt to changing situations. Scientific studies help build confidence around the benefits of mindfulness and whether this might be something worth bringing into the workplace. However, working with the mind is very subtle and subjective. You must see for yourself, experientially. Practice yourself and experiment to see how your life and performance are affected. Imagine a situation in which you are expected to produce something quickly and perfectly within a very short time. You have been in this situation many times before and have seen the results: late delivery of a disappointing outcome, and being blamed for it. This time you have had it. You are not going through the same agony. Your response and its effectiveness is a direct result of the degree to which you are mindfully aware. Without mindfulness, there is reactivity: anger, withdrawal, depression. With mindfulness, you can manage expectations, conflict, projects, communications, and relationships to get the result you want. Mindfulness also helps you accept that you might not get what you want. It promotes a realistic, objective view of reality. This cuts through delusional thinking. Mindfulness also helps you accept that you might not get what you want. It promotes a realistic, objective view of reality. This cuts through delusional thinking. To find a sense of balance that offers these benefits yet also fits into your lifestyle, it helps to cultivate both formal practices, like meditating, and informal practices, like connecting with a sense of inner peace while waiting for your morning coffee. Mindfulness is cultivated through meditation. Meditation is a mental exercise that fosters concentration and mindfulness. A meditation session is a retreat. It can last for a moment, or 20 to 30 minutes, a month, or more. During your retreat, you pull back from the ongoing hum of day-to-day living to train your mind, refuel, reflect, and perhaps most importantly, get in touch with your most expanded awareness. Find a comfortable, relaxed, alert posture—head, neck, and spine naturally aligned. Rest your hands and arms comfortably. Sit with your body balanced and stable, lips slightly apart, a subtle smile. Feel the sensations of your body. Take note of your breath. Just notice the sensation of inhalation and exhalation wherever it is most prevalent for you—at the nostrils or in the rising and falling of the chest or abdomen. Notice thoughts, feelings, sensations, sounds, sights, smells as they occur. Greet everything that occurs with a friendly accepting attitude, bringing your attention back to the breath. If you get “lost,” carried away, or distracted: as soon as you realize it, come back to the body, the breath, and begin again. This is a technique for formal practice—sitting down for a fixed time and dedicating five, ten, 20, or more minutes to meditating. This is an exercise that relieves stress, strengthens your concentration and mindfulness, and makes it more likely that the results will seep into the rest of your day—including your work. And it is the rest of your day that is most important. Here is where the rubber meets the road. Here’s where you spend most of your time. Moment-to-moment meditation takes the practice into the normal day’s activity. You can practice for brief moments during work sessions, meetings, lunch, bathroom breaks, etc. Make it subtle and let it become integrated into your life so that it enhances your ability to completely attend to your work in the most effective way. Wait for the ring: Whenever the phone or your computer rings or pings take three conscious breaths before responding. A conscious breath is one that is felt and observed. Notice your wandering mind: Whenever you realize that you have been off on a mental journey or in a waking dream state, take note of your experience in that moment of awakening, take a conscious breath, and carry on. For example, imagine being at a meeting or in a class, you are daydreaming or caught up in thinking about something, and are called upon to comment on what was just said. What does it feel like in that moment? Recognize the difference between being awake and asleep, experience the feelings that come up, and note your response. The main point is that mindfulness is a foundation for effective work and optimal performance and that mindfulness can be enhanced and cultivated by practicing formal and informal meditation. George Pitagorsky is an author, consultant, and meditation teacher with over 30 years of experience in project management and performance training. He speaks and writes about the connection between mindfulness and work, and helps foster leadership through systems thinking. His latest book is Managing Expectations: A Mindful Approach to Achieving Success.